Top: Forever 21, Jeans: 7 For All Mankind, Clutch: Asos, Shoes: Sole Society, Watch: Michael Kors, Bracelet: J. Crew, Necklace: Vintage, Earrings: Nadri, Polish: Wintery Green by Revlon, Lips: Laura Mercier in Violet. I love that yellow too! that top is so pretty! and what fun shoes! Thanks girl! Have a great day-xo. Just found your blog via Pinterest and I love it! You have a great sense of style! Following you! Thanks girl--so glad you're following! Have a great day! xo. Thanks girl! Thanks for visiting! xo. Is that a recent top you got at Forver 21? I have been looking for a top like that everywhere!! I never got an e-mail but either way girl love the top and love love love your blog! just gorgeous! 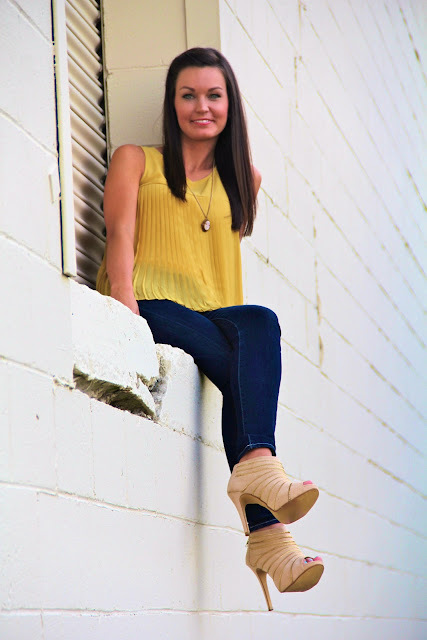 You're eyes are so pretty and that pleated top is so whimsical! Thanks girl! Hope you have a great day! xo. 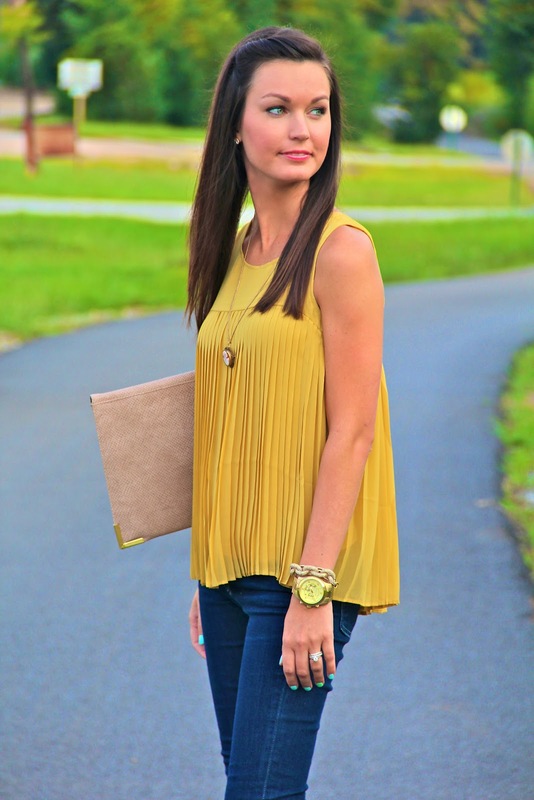 love that pleated top! can't believe its forever 21 - great find! I know, I thought the same thing! :) Thanks for visiting! xo. how perfect! 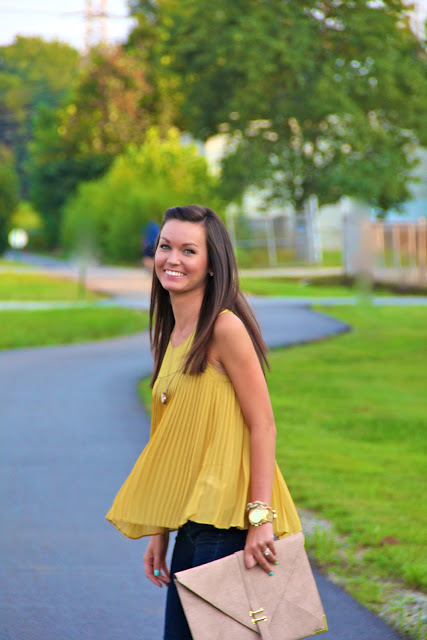 i love that yellow pleated top. you look adorable, girl! Thanks for reading and commenting! :) You're a doll-have a great weekend! xo.